We don't know about you, but as little girls, we were obsessed with things that had our names inscribed, painted, engraved, whatever on it... it meant it was just for us and no one else, especially little brothers or sisters! And as grown-ups, we don't think much has changed. :) From sentimental to just plain pretty, in our holiday gift guide curated specially with the bridesmaid in mind and straight from the handcrafted artisans themselves on Etsy, there's a little something for everyone that can be doubled up for the wedding day AND everyday. Cheers to friendship! We're suckers for calligraphy and mimosas, so this set of gold painted stemless champagne glasses is the perfect combination! A little bit celebration, a pretty memento, and a reason to get together with the ones you love most. 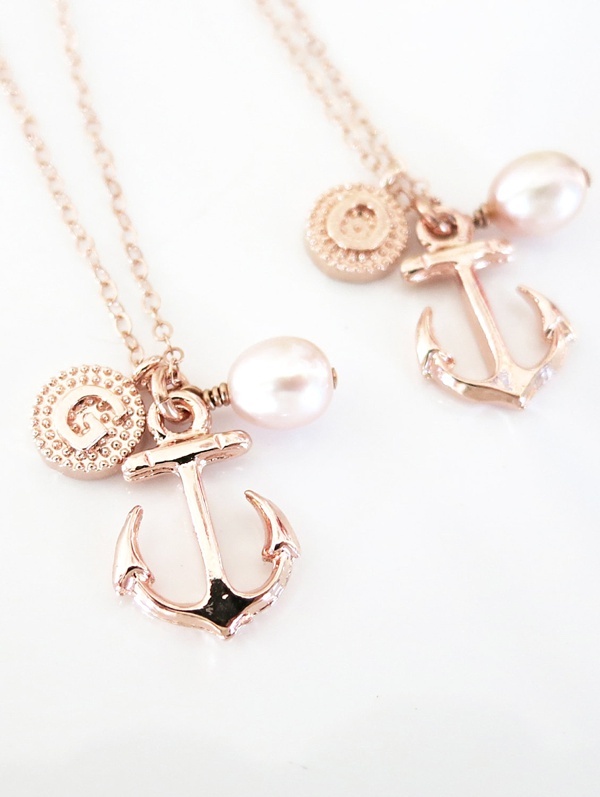 "Thank you for being my anchor through all the ups and downs" and "You are my anchor" are just some sweet phrases you can write on those gift box tags for your bridesmaid when you've got this little rose gold and freshwater pearl nautical beauty to give. We sure do love tumblers around here in Virginia! Add some personalization to it, and it's practically perfection! 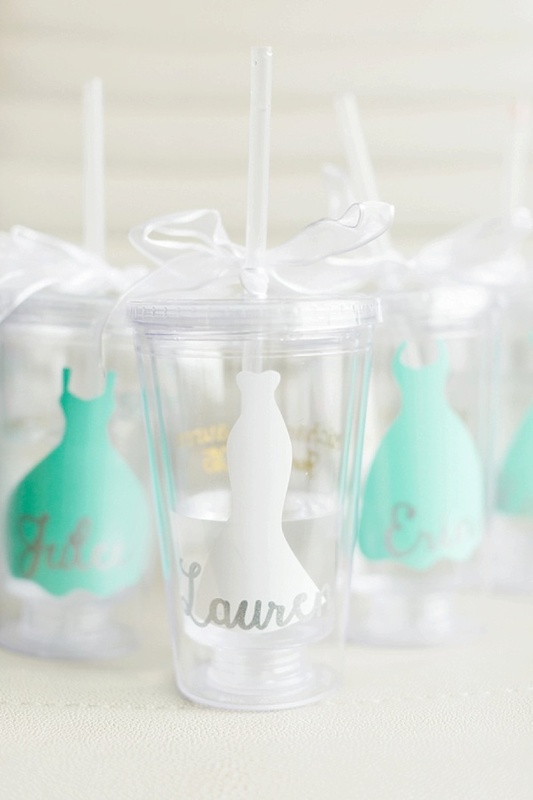 These cool beverage-totin' vessels are fully customizable in dress shape, names, and colors. Having a non-Western wedding? You can get a sari or another type of bridal dress decal made special for your tumbler! 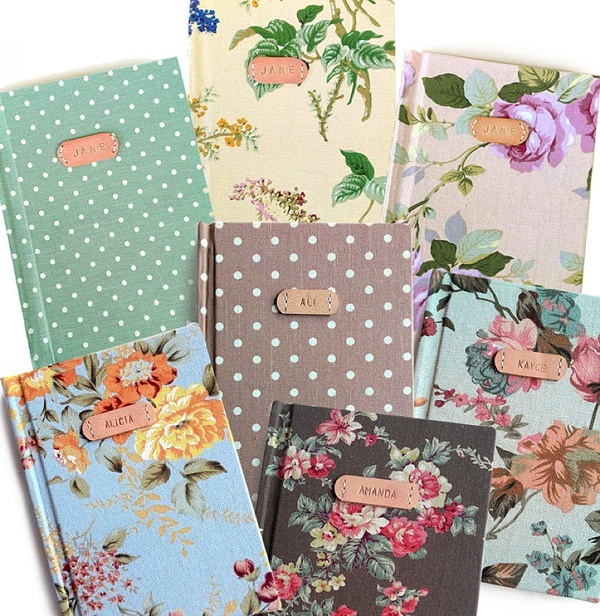 Be still our book nerd and vintage hearts! These beautiful handmade journals with personalized leather tags make us swoon and open up our favorite Jane Austen novel. Why do the guys get all the fun? 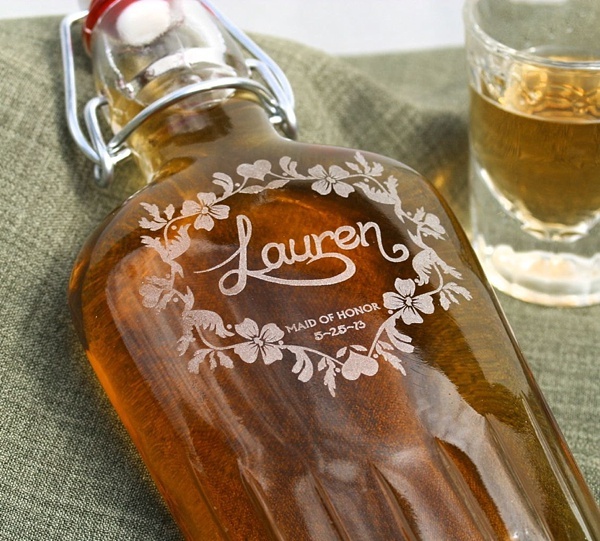 These etched and personalized rustic glass flasks are perfectly feminine yet a whole lot of fun for the ladies who see weddings as a full on celebration! If you're an Alex and Ani fan, then you're likely obsessed with bangles. 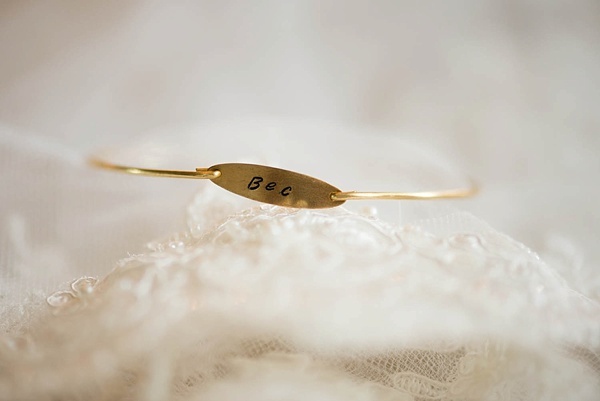 This delicate yet handstamped bangle would be perfectly stacked with your bridesmaids' other bracelets... but this one will be even more special because it has their name or initials on it! 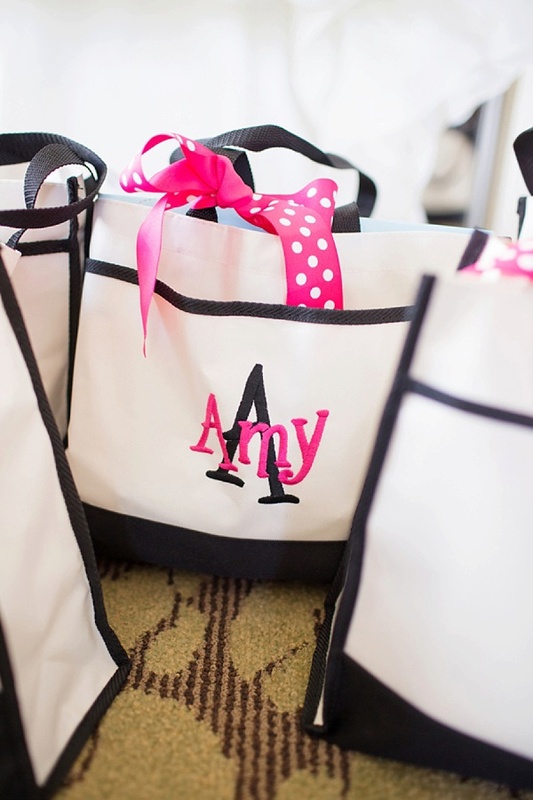 We love multi-purpose things, and this embroidered and monogrammed tote bag doubles as a gift bag and a gift! Tuck in a few other extra personalized goodies inside this and truly make it a fun gift to go through. 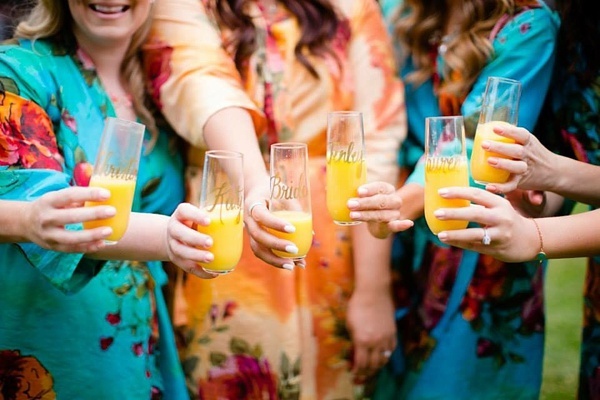 Having a destination wedding or going on a trip with just your gals? 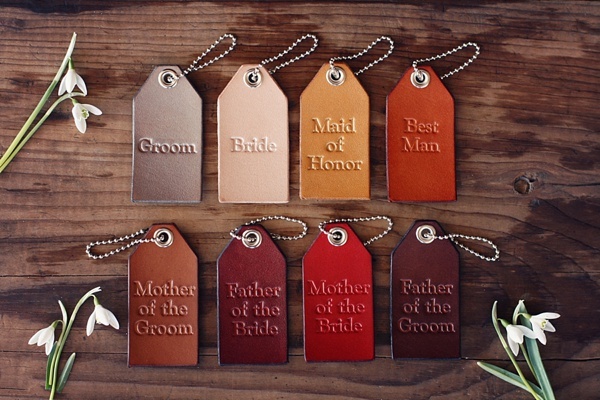 These chic leather tags can literally say anything you want on them! The initials and symbol ones are our personal faves. Some of the above product links are affiliate-connected and purchasing through these links helps support future blog projects. You can find our full affiliate disclosure policy here on Tidewater and Tulle.